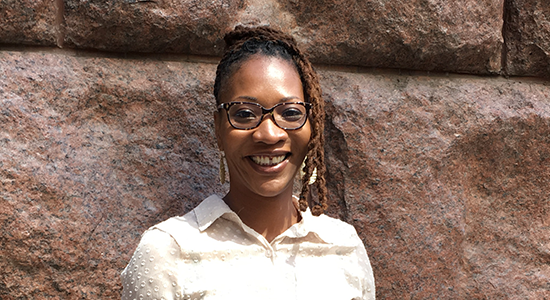 As Director of Urban Programs, Dionne leads the initiative to broaden the Center’s offerings and engagement in urban neighborhood commercial districts. Dionne has over a decade of experience in project coordination in the fields of urban economic development and commercial district revitalization. She has extensive expertise engaging community stakeholders, identifying and implementing projects in conjunction with community based organizations, government institutions, and real estate development, as well as supporting capacity building opportunities. Before joining the Center in 2016, Dionne served as Senior Program Officer for Local Initiatives Support Corporation (LISC) Chicago where she managed economic development initiatives for the Chicago office, developed and led the award winning Business District Leadership program and the nationally recognized Smart Communities demonstration. Previous to LISC Chicago, Dionne served as a Financial Planning Analyst for the City of Chicago’s Department of Community Development where she administered rehabilitation grant programs to eligible Chicagoan residents and small business owners. Dionne holds a master’s degree in public administration from Roosevelt University and a bachelor’s degree in communications from the University of Illinois at Chicago.